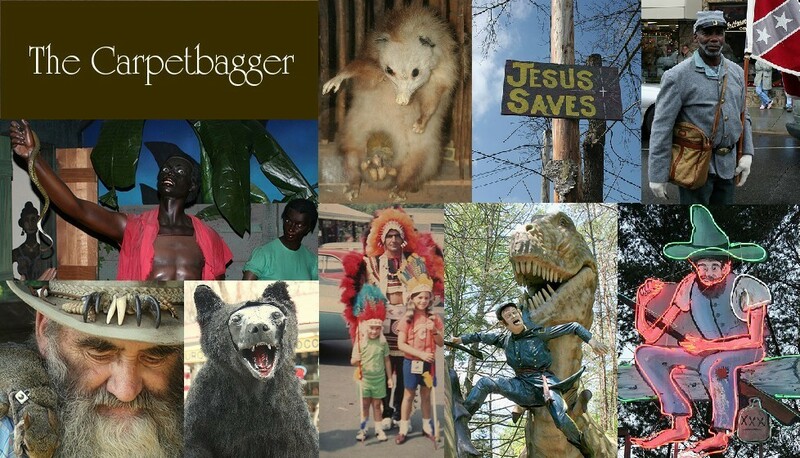 The Carpetbagger: Welcome to the Carpetbagger Blog! My name is Jacob. I moved to North Carolina from Indiana about a decade ago. Ever since my move with to the South I have been constantly enamored with the richness and insanity of its culture. For the past five years I have been documenting the culture around me and posting on my Flickr account . The subjects that fascinate me about the Southland range from rampant Christianity, moonshine, Hillbilly imagery and of course Roadside Attractions. 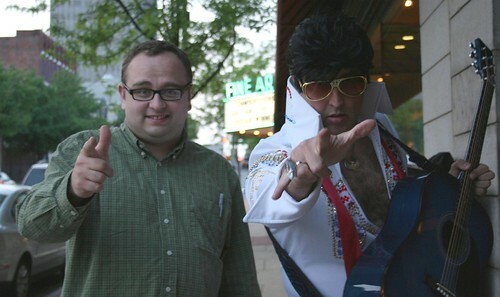 I have been to a bunch of amazing places and met fascinating folk heroes and villains. I wish to share this with you. I feel my status as an outsider gives me a unique perspective. I feel this blog will give me an opportunity to tie my photography together to tell the the story I want to tell. I hope anyone reading this enjoys my perspective on my adopted home.